Makeup, the Queen Mum and yoga collabs. Givenchy launches a summer beauty solution you’ll wear all year. Acqualina Resort and Spa kick things off for the Queen’s Jubilee. And Green Monkey swings into an expansion. 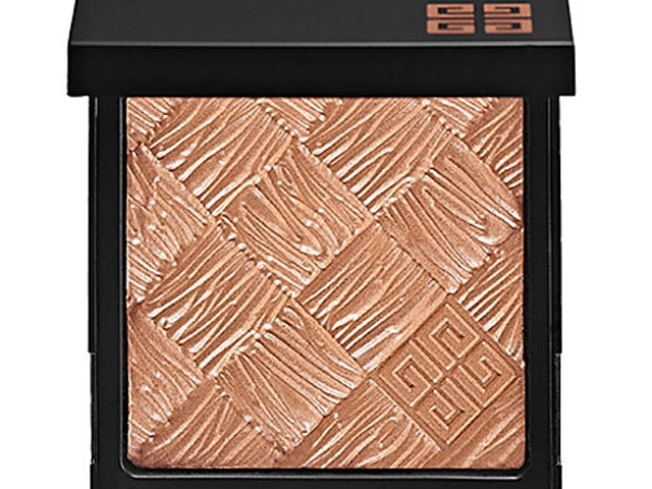 Beauty: It’s time to make a bronzer investment. One that you won’t outgrow come fall and winter. One that isn’t littered with shimmer. One that won’t leave you looking orange instead of glowing. One that just works with your skin. That one is Givenchy’s Healthy Glow Powder ($50) from the Croisiere collection. The talc-free powder is so light, it feels like you aren’t wearing anything on your skin at all. Consider it a perfect plan for your Miami summer makeup strategy and beyond—seasonal makeup is so last year. Also check out the Mister Perfect Instant Makeup Eraser High Definition. It’s the ideal solution for a little extra shadow here, a smudge of mascara there, a but too much highlighter anywhere. Smokey eyes just got that much easier. GET IT:Both available at Sephora.Sephora Aventura, 19575 Biscayne Blvd. #723, Aventura; 305.931.9579. Spa: All hail the Queen and her Jubilee Celebration. In a package fit for royalty ($429), Acqualina Resort & Spa offers guests 2.5 hours of pampering fit for a queen. Revel in a Foot Ritual, Hand and Foot Parafin treatment, Salt and Oil Scrub, Deep Tissue Massage, Intensive Facial and Scalp Massage. Plus, stop in June 2 and 3 and celebrate the Queen Mum with tea—of course— and snacks. Packages come complete with $60 gift certificates to Piazzetta Restaurant and Marketplace so you can have a royal feast. We’ll drink to that. GET IT:Package available through June. 17875 Collins Ave., Sunny Isles; 855-750-2740. Gym:Green Monkey is swinging into new horizons by bringing classes to Downtown Athletic Club. Find power yoga, beginners classes, gentle yoga and Vinyasa flow. Whether squeezing in a workout during your lunch break or after that last conference call, it’s the perfect way to beat the hectic hustle and bustle of the day. Find classes six times a week, including Monday and Wednesday at noon and 6:30 p.m., Tuesday and Thursday at 7:30 a.m. and 6:30 p.m., Fridays at noon and Saturdays at 10:30 a.m. Go ahead, get bent into shape. GET IT:200 S. Biscayne Blvd., Suite 15A, Downtown; 305-358-9988 or getfitmiami.com.